Whether you are raising a family, working hard or both, it seems that most everyone is in a time crunch. The endless tasks, driving around and work stress can impact us significantly. There are no beauty tips that can replace proper rest and taking care of yourself, but I thought a few helpful suggestions might make your life a little easier. 1. Towel dry your hair. If you are in a rush after washing your hair, get a head start by towel drying first. The towel will absorb the extra water, cutting down the hair drying time. 2. Use dry shampoo. In between washes or no time to wash your hair? Use dry shampoo (affiliate link) to freshen up your hair and add some life to it. Women with fine hair benefit from dry shampoo, because it makes the hair look fuller. 3. Mascara. 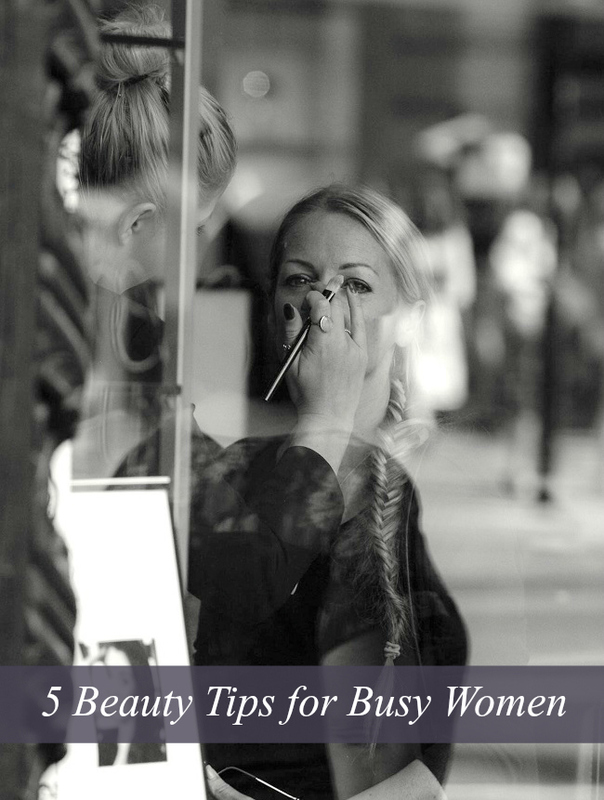 Your day is filled with running errands, car pooling the kids, meetings and everything else that comes your way, but you still want to wear some make-up or at least appear to. I recommend using mascara only. It will make your eyes pop and your face shine. 4. Multipurpose moisturizer. A tinted moisturizer with a sunscreen combination takes place of three different products. It covers small imperfections, moisturizes and protects your skin from the sun. A BB cream is a great choice as it also helps to fade away dark spots. 5. Hydrate. Exactly what it says, hydrate! Drink plenty of fluids as dehydration not only affects your overall well being, but it also affects your skin and hair. Drinking plenty of water will hydrate your skin from the inside out giving you a glow you just can't buy with products. I hope these tips help and I would love to hear from you! Tell me your favorite beauty tips and tricks in the comments below!